In the past weeks several friends of mine have posted something similar to this on Facebook: ‘I have very little tolerance for the racist remarks being made on here about the refugee crisis and I will unfriend/unfollow people posting such remarks’. I too unfriended a woman just last week who was saying awful things about the refugees. Unfriending her was a knee-jerk reaction and I don’t regret it. I don’t need those kind of hateful remarks in my newsfeed. I hardly knew her anyway. A closer look at some Instagram accounts has also revealed some fanatically narrow-minded account holders who are posting the most unsavoury photos and remarks that are both racist and sexist. Instagram would do us all a favour by removing these account holders. 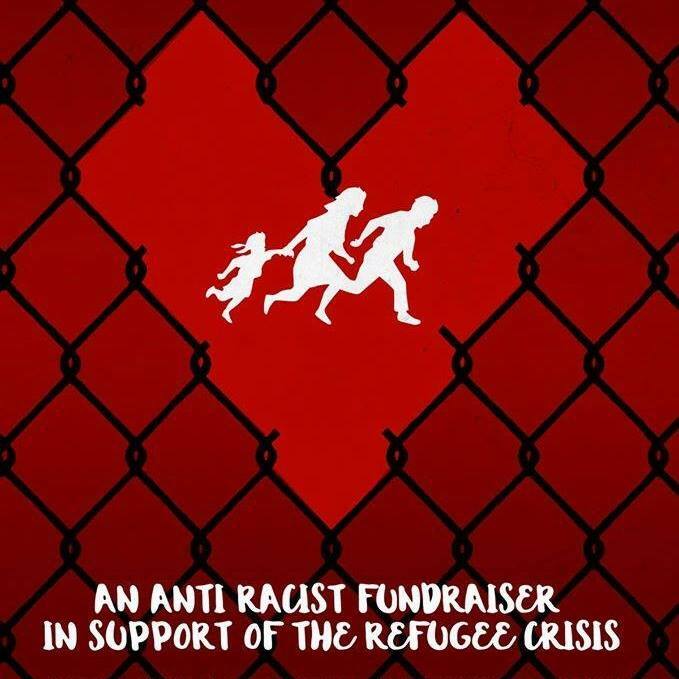 It seems many people are experiencing this recently and so the wonderful Sugar Club Dublin stepped up to counter it by holding an anti-racist fundraiser in aid of the refugee crisis on September 26th. 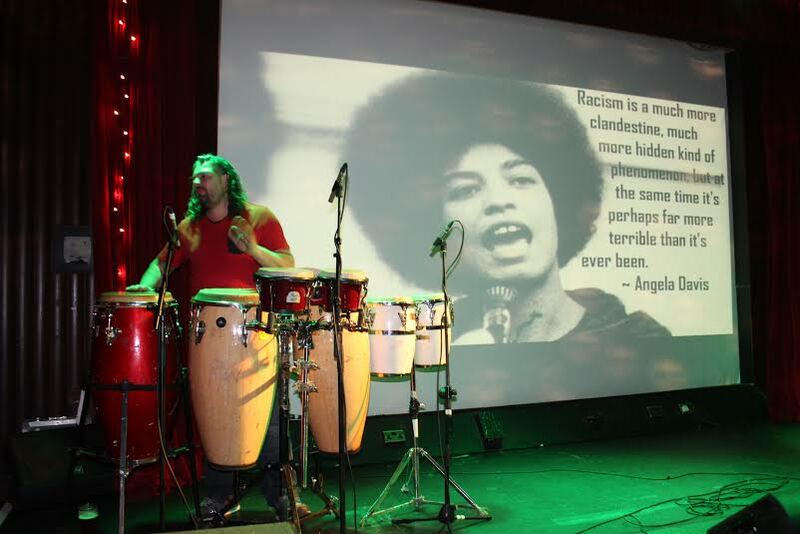 The organisers of the Sugar Club event reminded us that Ireland has never been a racist country (aside from a small minority) and of this we should be proud and celebrate. And what better way to celebrate diversity, tolerance and creativity than by bringing together some of Dublin’s finest dj’s and musicians for a night of fun and fundraising. 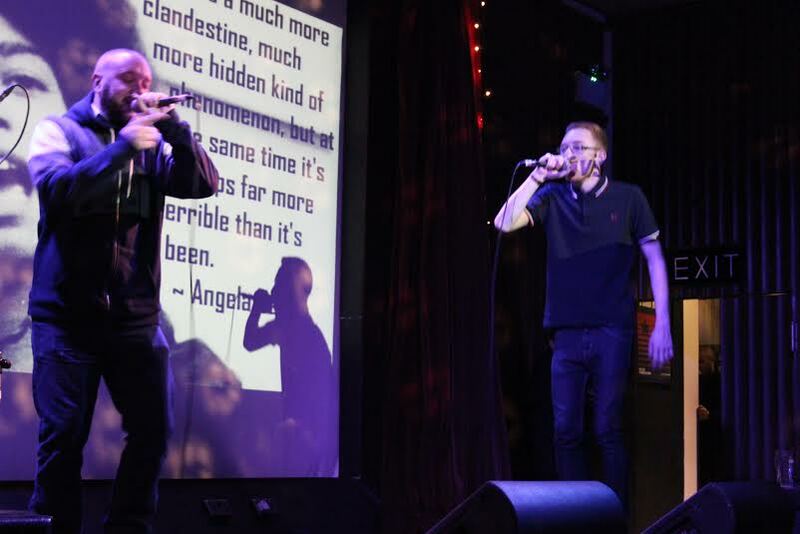 The event was organised by Dublin dj Johnny Moy and the line up included the following artists: The Dirty Dubsters, Aoife Nic Canna, Pete Dancer, Al Keegan, Louche, David Kitt, Calvin James, Mark Kavanagh, Ger Regan, DJ Scope, Chris Holten, This Greedy Pig, TASTE dj’s and more. It was wonderful. There was only one drawback: Very few people came to the event. I spoke to some of the organisers and artists and they were disappointed that the club was practically deserted. Do people not care about such an important cause? Where was everybody on the night? This fact did not prevent those of us who were there from having a great night and making the most of it, however. 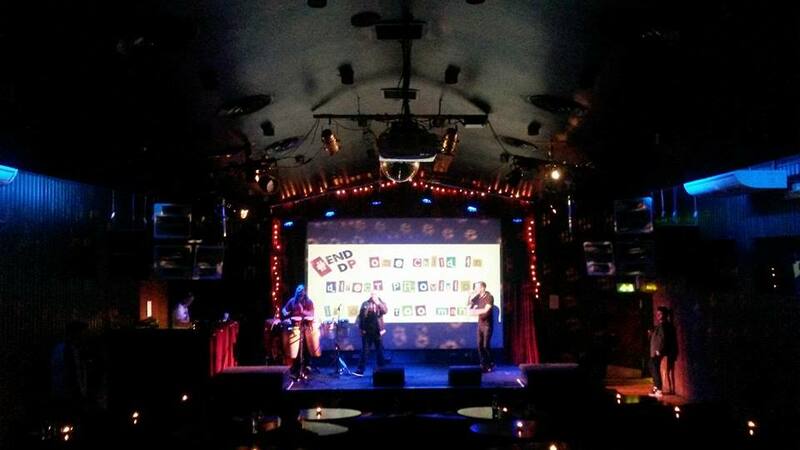 This was my first time at The Sugar Club, Dublin and I love the venue. The main floor has fabulous tiered, saloon style seating with tables affording everyone a great view of the stage. 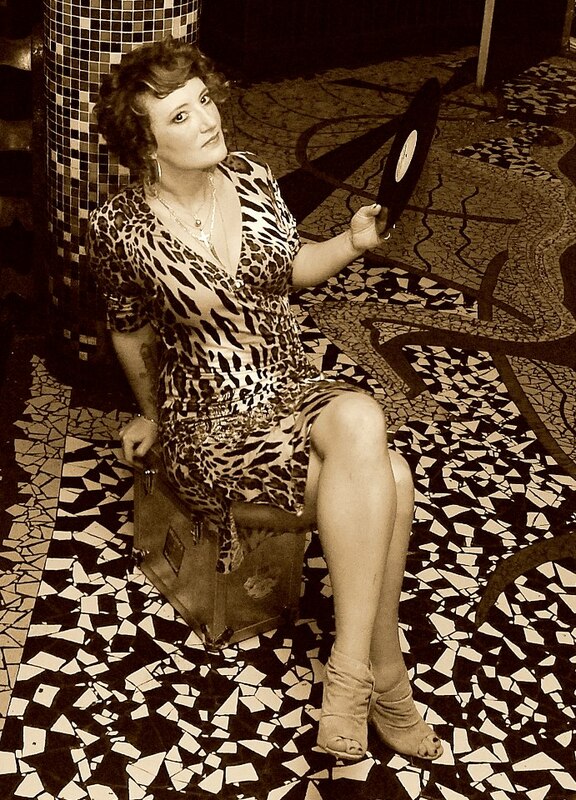 They host a whole range of cultural events including movies and Burlesque nights. On a screen above the main stage there was a stream of photos telling the story of protests past and present and one slide that caught my attention was ‘End Direct Provision’. I also spoke to a few people who were wearing ‘End DP’ badges so I had to find out for myself what this meant. According to an Irish Times article titled ‘Lives in Limbo’ there are 34 state run direct provision centres in Ireland housing a total of 4,300 asylum seekers 1,600 of whom are children. Asylum seekers spend an average of three years and eight months in these centres in conditions that are cramped, unsanitary and damaging to mental health. The adults are not allowed to work or cook meals for themselves and they suffer from depression, boredom and low self-esteem. The children have little or no access to play or recreation and while they are entitled to attend primary and secondary school they are not entitled to continue to subsidised third-level education. The system has been heavily criticised by the United Nations and human rights groups. Ireland has one of the lowest success rates in Western Europe for those seeking asylum. One of the big things that has irritated people on social media recently is people crying out that we need to ‘help our own people first’. Yes, sure, but are these people who cry this really doing anything to ‘help their own’. Do they go and volunteer at homeless shelters in Dublin? Most of the people saying this do not, I fear. I am guilty too of not doing enough. There is a homeless woman on my street and I give her apples and tangerines when I pass her. It’s not much, but it makes her smile and brightens her day. I have also been down to the Human Appeal Charity shop in Dundrum to which the proceeds of the Sugar Club night went. I spoke to Isolda Heavey who is a member of the Ireland Calais Refugee Solidarity and she said that it costs 7,500 Euros to get a container of aid into Syria hence the various fundraising events. She is currently in Calais with 60 volunteers (along with some friends of mine from my hometown in West Cork who are part of the West Cork Calais Refugee Solidarity). They are working with local charities on the ground in Calais building shelters and distributing winter clothes and medical aid to the many refugees in the camp there. I was sitting in the tiered seats of the Sugar Club discussing the refugee crisis with a few people when the funky beats of the Dirty Dubsters pulled me onto the dancefloor. It was hearing Jason Williams on percussion that quickly got me out of my seat and, as I had not been dancing for awhile, I thoroughly enjoyed myself. 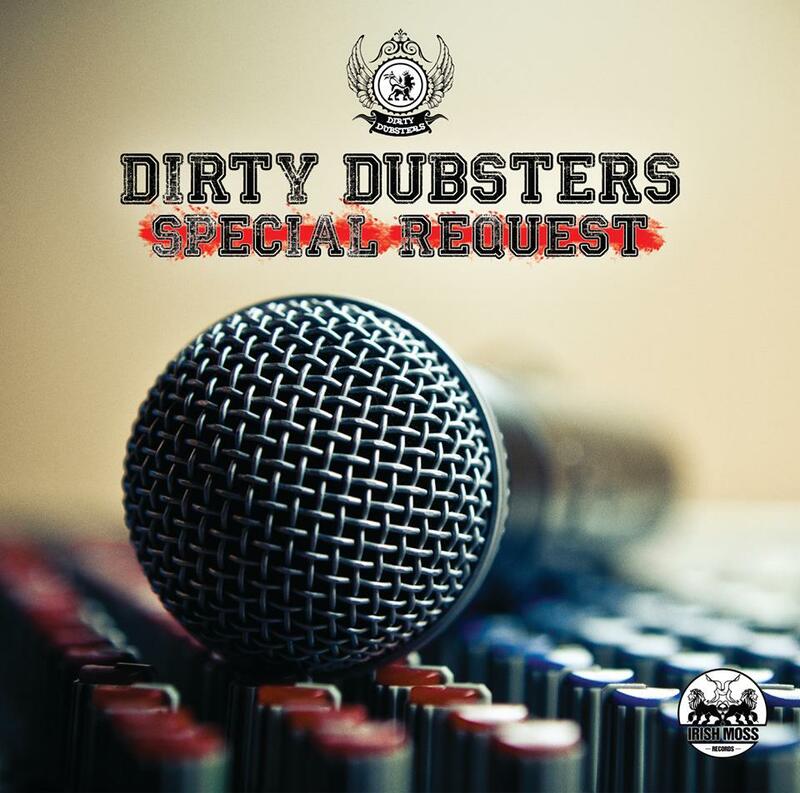 The Dirty Dubsters’ music spans reggae, hip hop, house, jungle, drum and bass. 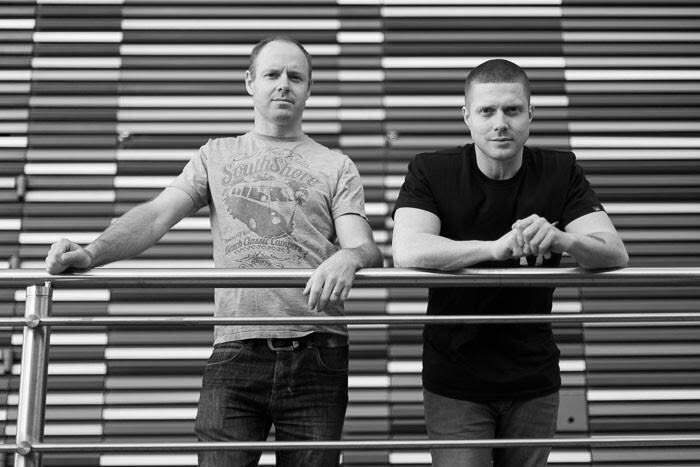 ‘Our music is kind of hard to pigeon hole’ Jason Rymer told me. He and Barry O’ Brien founded the Dirty Dubsters in 2009 and have collaborated with many great vocalists and musicians since then. Jason told me they were very excited about their upcoming album ‘Special Request’ which is due for release next week on October 9th. The Sugar Club has a lovely intimate outdoor area and the party withdrew there when it was clear that there were not going to be enough guests to fill the main room. For the rest of the evening we danced to the beats of Al Keegan, Aoife Nic Canna, Calvin James, Pete Dancer and others. The wonderful and talented Aoife Nic Canna (who is a good friend of mine who I met in Berlin some years ago) played us some hip hop, soul and ended her set nicely with some mid-tempo house music. Aoife is an archivist at Near FM and presents and produces their Irish Arts program. I have been listening to the wonderful track Aoife played by Angie Stone ‘I wasn’t kidding’ this morning as I sipped my coffee in preparation for writing this review. I have also been listening to the classic tracks by Donna Summer, Terence Trent D’arby and the Stone Roses as well as other indie, house and disco tracks that Dublin dj Al Keegan finished out the set with at the Sugar Club. All in all, it was the best night I have had out in Dublin since I moved back to Ireland last year. I met some great people and I look forward to more nights like this.